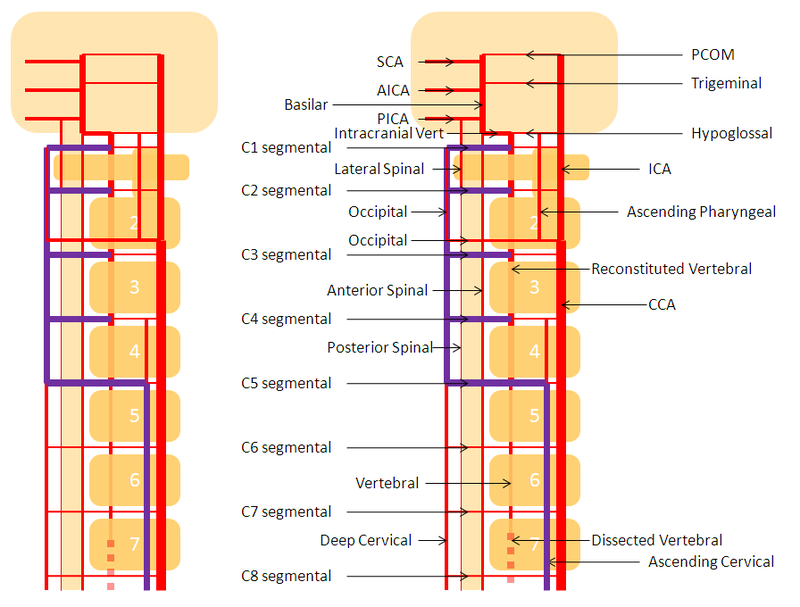 This index page points towards individual sections — see Vertebral Artery, Basilar Artery, PICA, AICA, SCA. While I think that combinining vert and basilar into one entity is a better anatomical and functional approach, more practial issues — too many pictures on one page for optimal browsing — are also important, as individual sections grow. It is critical to realize that vertebral and basilar arteries, and their branches, should not be conceptually separated from each other. I urge an interested reader to go through all sections for complete appreciation.